Is Your Dental Health at Risk? Vitamin D and teeth are incredibly important, yet almost completely overlooked in the medical field. When was the last time your dentist suggested that you might want to take Vitamin D for prevention of periodontal disease, gum disease and cavities? Never, I'm sure. We all hear about the importance of calcium for healthy bones and teeth, but the relationship of Vitamin D and teeth is seldom talked about, yet it is just as important. Vitamin D and periodontal disease are becoming inextricably linked. Periodontal disease, which incidentally is ALSO a Symptom of H Pylori Infection, is a weakening of the bone that anchors the teeth. It leads to redness, bleeding and inflammation of the gums (gingivitis) and may eventually lead to tooth loss if left untreated. Vitamin D is extremely important in the process of keeping the teeth anchored into their sockets. Vitamin D research has shown that people with Vitamin D Deficiency are much more likely to have periodontal disease for various reasons. One reason is that the gene responsible for the expression of periodontal disease may be controlled by a Vitamin D receptor that is controlled by Vitamin D levels!! Why didn't anyone tell me about the connection between vitamin d and teeth? This sounds complicated, but what it means is that Vitamin D acts as a "controller" of the genes in almost every cell in your body. When Vitamin D levels are too low, then the genes that are responsible for a variety of problems- in this case periodontal disease- get switched on and end up causing disease. Another reason that Vitamin D affects periodontal disease in the Vitamin D and Teeth equation is that, according to The Boston University Goldman School of Dental Medicine , Vitamin D reduces gingivitis because of the anti inflammatory effects of the vitamin. They even suggest that gingivitis may be a “useful clinical model to evaluate the anti-inflammatory effects of Vitamin D.” This is interesting because disease in any form does not exist without inflammation. And Vitamin D deficiency is being correlated more and more with many disease states that are unrelated. Unrelated except for the presence of inflammation -that is!! Immune System Health is good, you are less likely to get the bacterial infections in your gums that contribute to the need for treatment for periodontal disease. Nowhere is the relationship between Vitamin D and teeth more evident than in the general health and strength of teeth. Again, most people are aware of calcium’s role in strong bones and teeth, but Vitamin D is imperative in the regulation of that calcium. But Vitamin D regulates this entire mechanism. When Vitamin D levels are low, no amount of calcium will go into bones and teeth, having a net effect of loss of calcium in these strong structures. The result can be osteoporosis, periodontal disease and.... weak teeth. All from Vitamin D deficiency! A seriously overlooked reason to have excellent Vitamin D levels is for the Oral Health and Hygiene of children. In This Research Study they related higher levels of Vitamin D in the bloodstream of mothers to decreased cavities in their children! 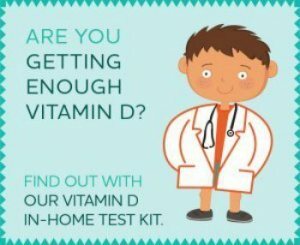 Robert Schroth, one of the researchers commented, "This study shows for the first time that maternal vitamin-D levels may have an influence on the primary dentition and the development of early-childhood-caries," He's WRONG, however, in stating that this was the first study to link maternal Vitamin D levels with their kid's teeth. A paper done in 1981 called Intrauterine vitamin D nutrition and postnatal growth in Asian infant also noticed the correlation. And more research from 1973 called Enamel hypoplasia of the teeth associated with neonatal tetany: manifestation of maternal vitamin deficiencyshowed that infants born with vitamin D deficiency were prone to a tooth condition called 'enamel hypoplasia' that predisposes them to bad teeth for the rest of their life! Hmmm, maybe Dr. Schroth should read a little more! Also, there is a well established correlation between Rickets and Dental Enamel Hypoplasia - a condition of faulty development of the dental enamel that allows cavities to be more easily established. And as far back as 1939, astute researchers noticed that there was a relationship between Mean Annual Hours of Sunshine and the Incidence of Dental Caries A similar conclusion was reached by a study done in Great Britain in the 1990's. It seems that even during the Civil War they noted an increase in cavities and tooth loss in those who lived in more northerly climates. That's about 150 years of ignoring the evidence on Vitamin D and teeth! 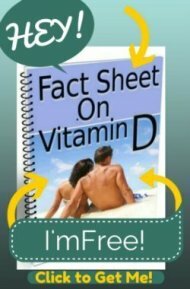 Information about Vitamin D and Teeth is NOT NEW!! When are we going to wise up and realize that the correlation between Vitamin D and teeth - as well as Vitamin D and most other chronic illnesses - is EXTREMELY important?! Vitamin D deficiency contributes to many other diseases as well. There are SO many diseases with a direct correlation to Vitamin D deficiency, it is TRAGIC that physicians aren't talking to their patients about its importance. Keep reading to find out more about the correlation between Vitamin D and specific health problems. Can You Prevent and Even REVERSE Gum Disease - Dr. Nara thinks that you can! Learn the secrets of Robert Nara, DDS as he teaches you what your dentist DOESN'T want you to know! Infant Cavities: Is there a Vitamin D link? 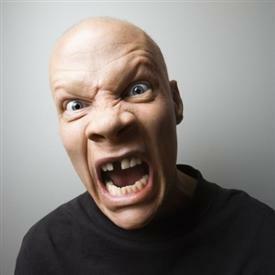 Can being low in Vitamin D cause you to have bad breath?